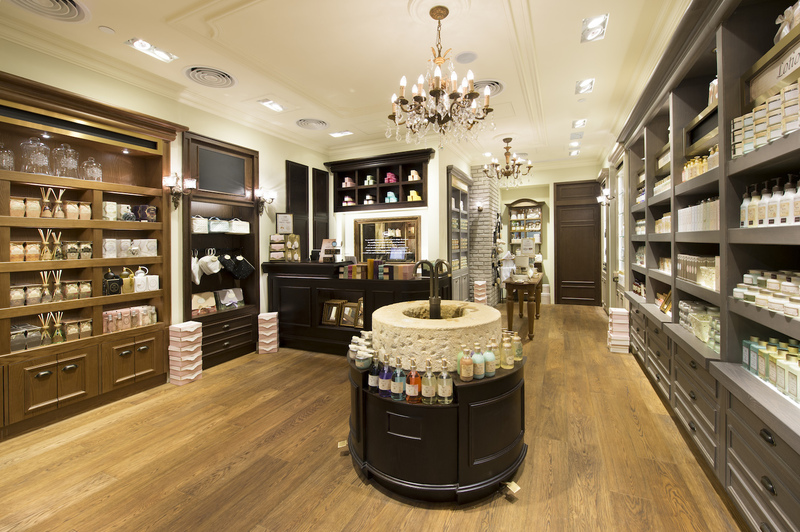 UPDATE: Sabon has since opened lots more stores in Hong Kong – full list of locations at the bottom of this post! Beauty junkies in Hong Kong are enjoying something of a purple patch (insert preferred colour of choice here) right now. 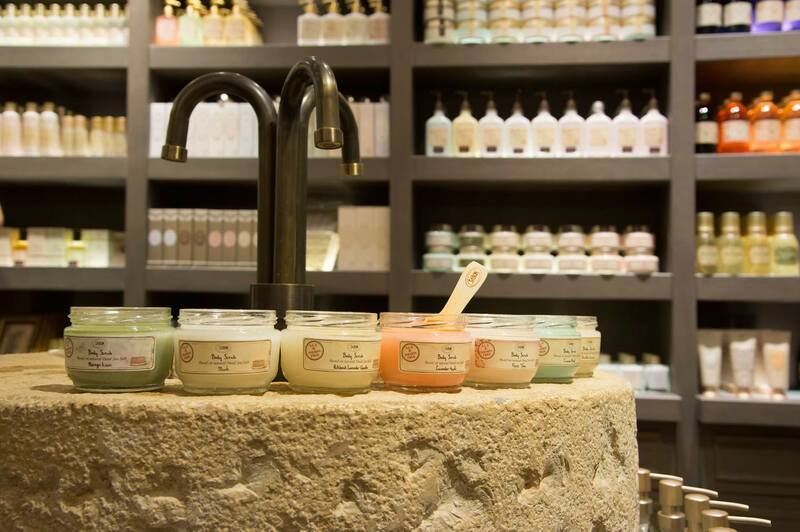 Whilst the influx of new beauty brands here has included many I was already familiar with (like Kate Somerville or the new arrivals at FACESSS), there have also been plenty popping up that I hadn’t heard of – including Israeli skincare brand Sabon, who have just opened their first stores in Hong Kong, in Tsim Sha Tsui’s Harbour City and Tai Koo’s Cityplaza. Sadly, I wasn’t able to make the store opening (which has its very own wishing well made from Jerusalem stone… skincare was definitely never this swanky in Nottingham, I tell ya! ), so Sabon very kindly sent me a few of their goodies to try – and on the basis of these, I’m already sniffing out my next Sabon purchases. 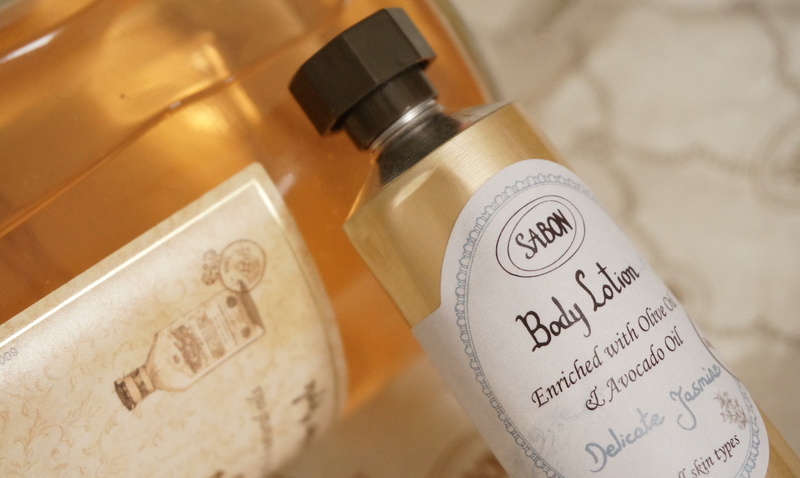 Sabon’s packaging has a sweet homespun style to it – fat chunky jars, a spindly handwritten typeface – and the colourful glycerine soaps look really cute too. Overall, the brand reminds me of a more rustic Crabtree & Evelyn, Jo Malone or MOR, with the Hong Kong price-points on par with Crabtree & Evelyn too. 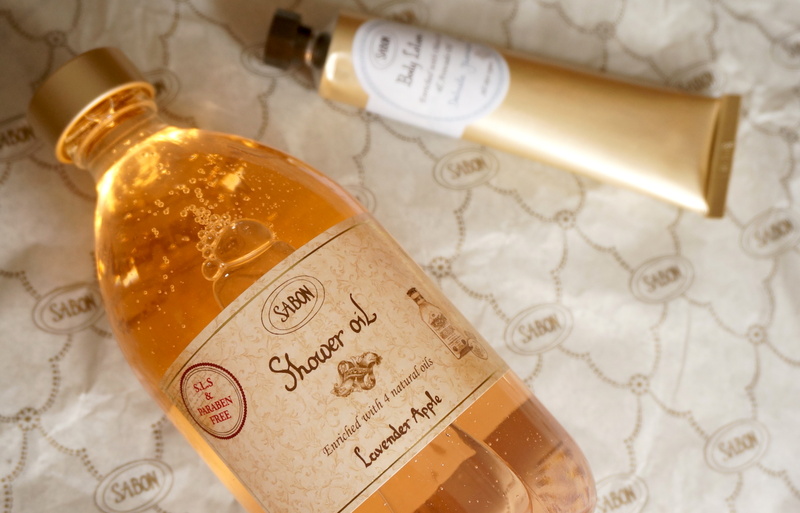 Now I must be one of the few people that gets excited by a good shower gel… so let me tell you that I really LOVE Sabon’s Lavender Apple Shower Oil. I was initially rather underwhelmed by the scent – it was pleasantly sweet and vaguely fruity and floral in a nicely natural way, but it certainly wasn’t knock-your-scent-socks-off awesome – which before you laugh and ask what shower gel ever is… well, that’s exactly how I feel about any of Philosophy’s varieties that involve cupcakes! But then something strange happened. I found myself compelled to keep using my Lavender Apple Shower Oil day after day, week after week, choosing it time and again over the five or so other shower gels kicking around in my shower. It’s kind of like that best friend you don’t notice in rom-coms who’s secretly cute all along and turns out to be your one true love by the end. There’s just something very quietly, naturally, addictively refreshing about it. Shower oils always scare me as I worry they’ll be really… well, oily, but honestly, this just feels like a lighter, more viscose shower gel and foams up just as well as anything else I’ve used. For those of you who care about these things, Sabon’s shower oils contain olive, jojoba, avocado and wheat germ oil which are all great for moisturising; but frankly, all I care about is that it gets the job done, my skin feels good and it comes in a massive 500ml bottle, so it won’t run out for ages! 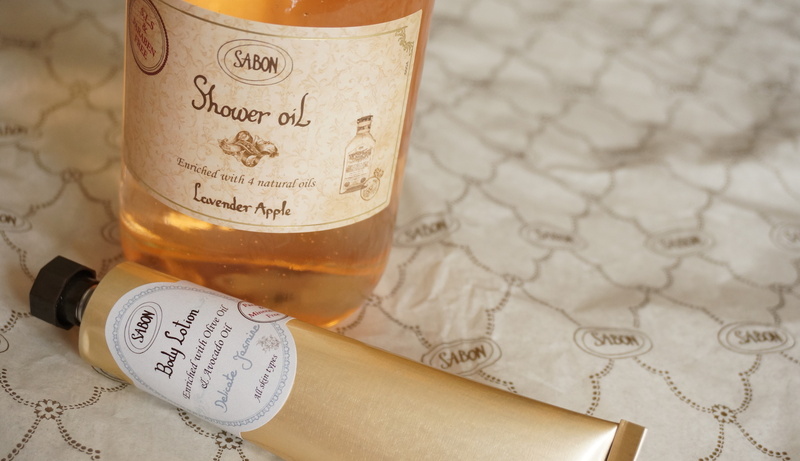 After my unexpected adoration of the shower oil, I was a little disappointed with Sabon’s Delicate Jasmine Body Lotion. There’s nothing wrong with it per se, but there’s nothing really outstanding about it either. The best thing about it is its lovely heady jasmine scent, which is strong without feeling overpowering or artificial. Its texture is also fairly middling; personally, I prefer my body lotions a bit thicker and richer, but it certainly isn’t terribly thin or watery either. It doesn’t absorb into my skin as quickly as I would like, and I didn’t feel it was above average in the moisturising stakes either – pleasant enough, but not a repurchase for me. Maybe like with my food, I have become too spoiled by rich, thick, indulgent butters to be truly satisfied with these lighter inferiors! Based on my stellar experience with the shower oil, I have added a few other Sabon products to my hit-list: namely, anything from their vanilla coconut range (why yes, I DO like pina coladas) and their body scrubs which, despite the fact I very rarely use them, everyone has been raving about enough to pique my interest. In the meantime, I’m off to cover myself in yet more of that delicious Lavender Apple shower oil… what do you mean showers shouldn’t take over half an hour? 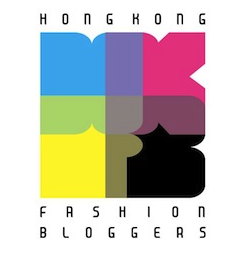 This entry was posted in Beauty and tagged best shower gel, best shower oil, best shower products, bodycare, Delicate Jasmine Body Lotion, Harbour City, Lavender Apple Shower Oil, Ocean Terminal, review, Sabon Body Lotion, Sabon HK, Sabon Hong Kong, Sabon Shower Oil, skincare, Tsim Sha Tsui, where to buy Sabon in Hong Kong. Bookmark the permalink.